Advocate file photo by John H. Williams. Then-Woodlawn coach Kenny Almond, now Zachary coach, is a veteran of EBR tournaments. Advocate staff photo by HILARY SCHEINUK Lutcher's Tim Detillier coaches against West Feliciana during the Class 3A semifinal Dec. 4 at Lutcher High School. Football and Baton Rouge have always been a winning combination. And the 2017 Louisiana High School Sports Hall of Fame class takes that love to a new level. Six football coaches and two basketball coaches with local ties help lead the star-studded class that will be inducted on April 12 at the Crowne Plaza. Football coaches Roman Bates Jr. of Capitol, Lutcher's Tim Detillier, Don Jones of Woodlawn/Plaquemine and Bucky Mistretta, best known for his stints Ascension Catholic, all made their mark locally. And so did basketball coaches Kenny Almond (Lee, Woodlawn, East Ascension, Zachary) and Bob Stevens (Redemptorist). Football coach Jimmy Shaver of Lake Charles-based Barbe and powerlifting coach Duane Urbina of Alexandria Senior High complete the group. B.J. Guzzardo, who won a state championship as a coach at Kentwood and is a longtime assistant executive director of the Louisiana High School Athletic Association, also is part of the group. “The class of 2017 is loaded with talented individuals who dedicated their lives and careers to the student-athletes of Louisiana,” Louisiana High School Coaches Association Director Terence Williams said. Guzzardo coached Kentwood to a Class 1A runner-up finish in the first Prep Classic in the then-Louisiana Superdome in 1981. He led the Kangaroos to the 1A title in 1983. He was president of the Louisiana High School Coaches Association in 1987 and joined the LHSAA staff in 1989. Bates coached at Baton Rouge-based Capitol from 1967 to 2000, one of the longest tenures for an inner city coach and also was the school’s athletic director. He had a record of 223-150-6 that included a Class 4A runner-up finish in 1999 and six district titles. Detillier's career record of 266-112 includes won more than 20 district championships. His teams made 12 quarterfinal appearances and nine semifinal appearances. Detillier’s Lutcher teams won Class 3A state titles in 2003, 2006, 2008 and 2015. Jones was head football coach at eight Louisiana high schools, including two stints at Plaquemine and one at Woodlawn during a 35-year career that began in 1971. Jones’ teams won 15 district titles, and he had a career record of 233-150-3 as he coached at schools in the Baton Rouge, Monroe and Acadiana areas. Mistretta was a football fixture in the Baton Rouge area while coaching at Ascension Catholic, Redemptorist and Lee High. He won a Class 1A state title in his first stint at ACHS in 1973 and a second in 1992, along with a runner-up finish in 1991. Almond is another Baton Rouge area coach whose basketball career included head coaching stops at five schools. His record of 892-402 included state titles in 1999, 2002 and 2003 along with four state runner-up finishes at Woodlawn High. Almond also had a runner-up finish at Lee High. 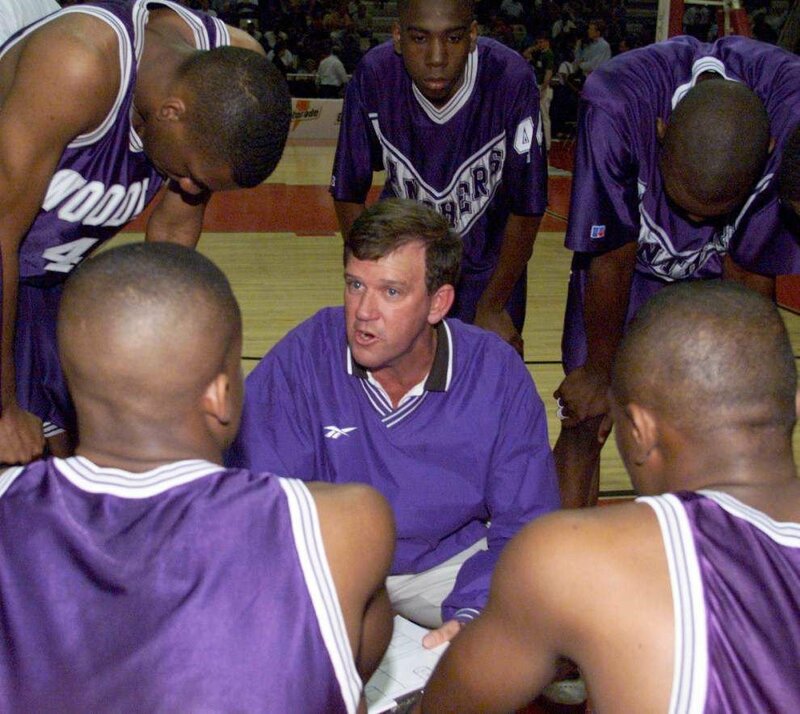 During the 2002-2003 seasons, Almond’s Woodlawn team was ranked as high as No. 2 nationally and won 50 straight games. He also coached East Ascension to two state tourney berths. As a coach, Stevens had a 174-42 record in girls basketball most notably at Redemptorist, including state titles in 1980 and 1985 with two runner-up finishes. He was 145-44 in boys basketball with one state runner-up finish. Shaver compiled a record of 238-100 in 29 seasons as football coach Barbe of Lake Charles. His Barbe teams made 27 playoff appearances and won 13 district titles. Urbina excelled on the state and national levels as a powerlifting coach at Alexandria Senior High, dating to the years before it was brought under the LHSAA. His girls teams won 10 national championships and 12 state championships, while his ASH boys won five national and five state titles between 1992 and 2005.